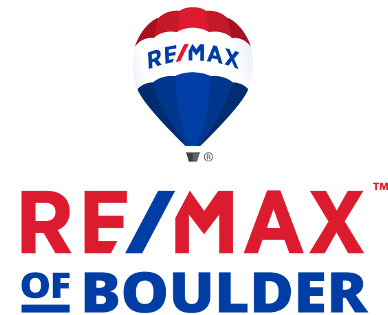 It’s RE/MAX of Boulder’s 41st year serving the Boulder Valley. We are creating strong relationships with partners in every spectrum of our community, from businesses to schools, nonprofits and athletic organizations. The excitement of Buffalo sports is a huge reason why Boulder Valley is such a great place to live, so naturally we are big supporters! RE/MAX of Boulder is proud to serve as the official real estate agency for CU Athletics. Our partnership with CU Athletics includes an array of sponsorships that strengthen athletic opportunities and bolster student athletes. Learn more about our partnership with CU Athletics. Click here. RE/MAX of Boulder feels incredibly lucky to be an integral part of this amazing community, so we have created a community news website, the Boulder Source, as a way to celebrate all that the Boulder Valley is, and to contribute to the connections and community we consider family. The Boulder Source includes everything from local events and news to restaurant reviews. The Source is also home to our Featured Friends, local nonprofits and businesses we showcase each month. New to Boulder or just visiting?  Makeboulderhome.com is RE/MAX of Boulder’s introduction to this beautiful place we call home. Learn about everything from green living, outdoor and sports activities, arts and entertainment, clubs and associations, education, shopping, transportation, and real estate. As we have for three years running, RE/MAX of Boulder recently hosted this summer’s Bands on The Bricks party every Wednesday night on Pearl Street. “From oldies to alternative and everything in between, Bands on the Bricks is Boulder County’s premiere outdoor summer concert series taking place in the heart of the city….A not-to-be-missed summer tradition with 10 weeks of free concerts.” Click here to learn more. We’re excited to be a sponsor for Louisville Downtown Street Faire! Summer fun with FREE live music, local food, drinks, vendors, and kid’s activities. Drop by our booth and say hi! RE/MAX of Boulder has a proud history as a leader in community involvement. As longtime residents with expert local knowledge, RE/MAX of Boulder Realtors are actively involved in supporting charitable causes across our communities. Click here to learn more. RE/MAX of Boulder has partnered with many wonderful local nonprofits that are addressing a wide range of critical needs in the Boulder community. Click here to learn more. YMCA of Boulder Valley provides a far-reaching web of support for every age group in areas including youth development, healthy living, and social responsibility. Attention Homes provides emergency services to homeless youth and operates the only youth overnight emergency shelter in Boulder County. There With Care provides fundamental services to children and families during a medical crisis by building a network of services and people who ease the burden of life’s day-to-day obligations. I Have A Dream Foundation empowers children in low-income communities to achieve higher education. Dairy Arts Center is a community arts center where artists of all genres create and inspire each other and the greater community. Boulder Food Rescue has a goal of creating a more just and less wasteful food system by facilitating the sustainable redistribution of food “waste” to agencies that feed hungry, homeless, and low-income populations. Other nonprofits we support and contribute to include: Boulder County CareConnect, Share-A-Gift, Imagine! Foundation, Just Go Harder Foundation, Emergency Family Assistance Association (EFAA), Flatirons Habitat for Humanity, Special Olympics, Boulder Hospice, Impact on Education, Junior Achievement’s Finance Park, Lost Boys of Sudan, and Alzheimer’s Association. A sampling of locally-owned businesses and business associations RE/MAX of Boulder has partnered with. Click here to learn more. Boulder Chamber – The region’s flagship business advocacy and support organization, which helps foster a vibrant local and regional economy. Downtown Boulder – Organization dedicated to maintaining and enhancing downtown as the center of commerce, government, culture, and leisure. Big Red F Restaurant Group – Operates award-winning restaurants including Zolo Grill, Jax Fish House, Post Brewery, Centro Latin Kitchen & Refreshment Palace, West End Tavern, and GoodBird Kitchen. Colorado Multisport – Triathlon retail and service provider offers everything triathletes need. Crossfit Sanitas – Ranked by the Colorado Daily as the best Crossfit gym in Boulder and by Shape Magazine as the 4th best Crossfit gym in the nation. Kilwins – Delightful new confectionary and chocolate store on Pearl Street Mall. Vitalé Studio – Owned by holistic wellness coach Alex Gil, her studio offers nutrition, physical training, life coaching, and workshops to guide you towards a healthy, happy, and inspired life. To learn more about RE/MAX of Boulder, visit www.boulderco.com or call 303-449-7000. Originally posted here on Thursday, July 19th, 2018 at 2:52pm.